No Fenders -Formula 1, IndyCar and A Whole lot more..: ’Dannyboy - We Miss Yuhs! Having read/listen to Curt Cavin’s great story about Holly Wheldon’s elite support group late Saturday evening, it made me realize how trivial, albeit annoying my upstairs blaring musak was... As unfortunately today marks the one year anniversary of the totally unnecessary and utterly useless death of Dan Wheldon. And as I’ve said before, although I obviously didn’t know him, I’m very happy to have witnessed a very tiny bit of the Wheldon charm, not only at the racetrack when taking that improvable win over J.R. Hildebrand, as I still swear I saw sparks that day trailing down the front straightway... But even better yet, his willingness to interact with the fans the evening after at the victory banquet. Thus for obvious reasons, I dually wished to see Dannyboy ‘SPIKE Wheldon’s 2011 Indy 500 winning racecar when last visiting the IMS Hall of Fame museum. As I’m still slightly annoyed that we weren’t handed any of the cool DW white cardboard shades last May, as it certainly was HOT ‘nuff outside to warrant them; Hya! 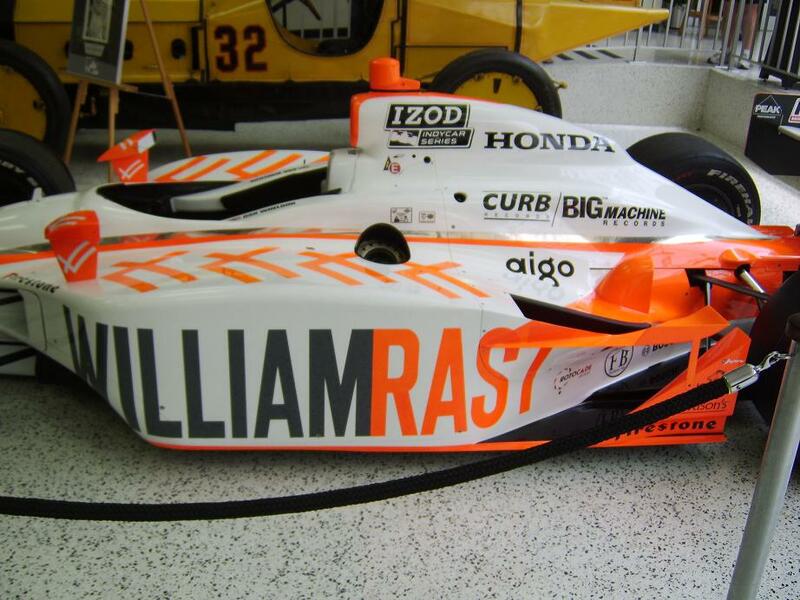 How will Dan Wheldon be remembered?